Courtney and Calvin was one of our top three from 2014 - we had the honor of being part of not only one celebration, but two! 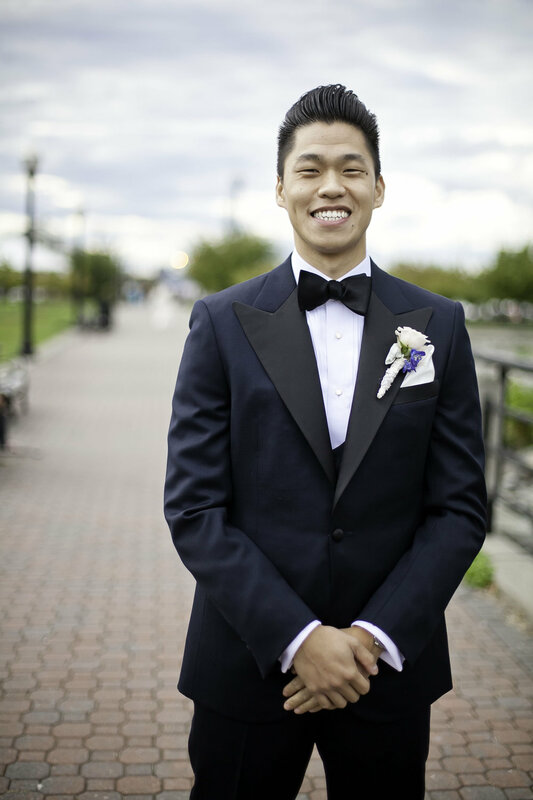 Their wedding luxurious ceremony and reception was held at Maritime Parc in Jersey City and was covered in lush white blooms and hints of soft blues and blush pink. 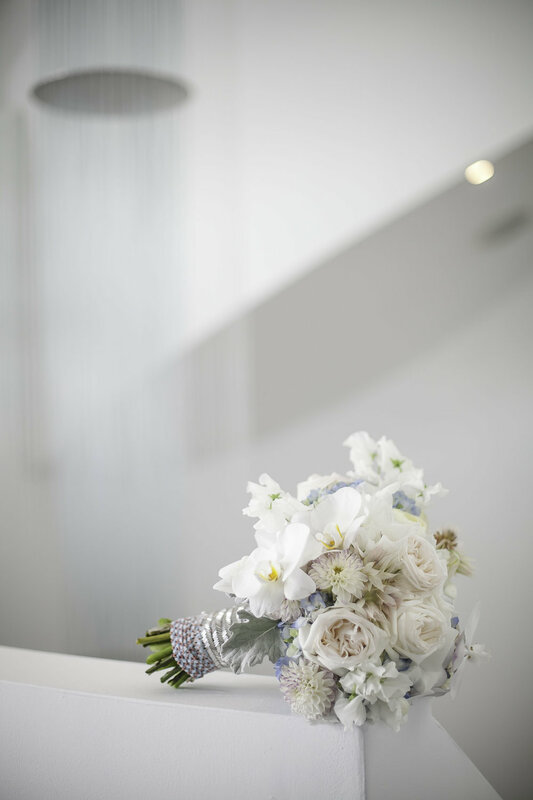 Courtney's bouquet had soft cream-blush O'Hara roses, dahlias, and serruria, with white phalaenopsis and sweet peas. 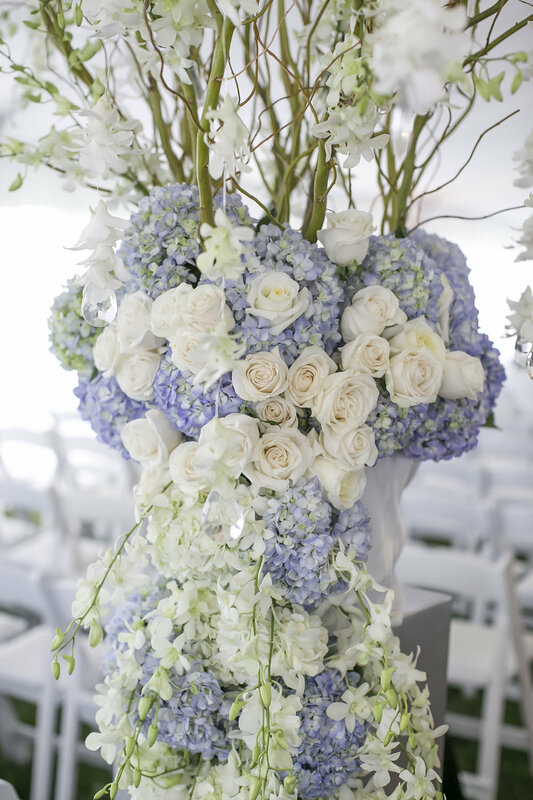 Grey dusty miller and light blue hydrangea added a pop of color. The ceremony was an opulent and extravagant affair in a white draped tent, featuring multiple tall curly willow arrangements atop pedestals with hanging white dendrobium leis with crystal drops, and a lush garland of blue and cream cascading down the side. 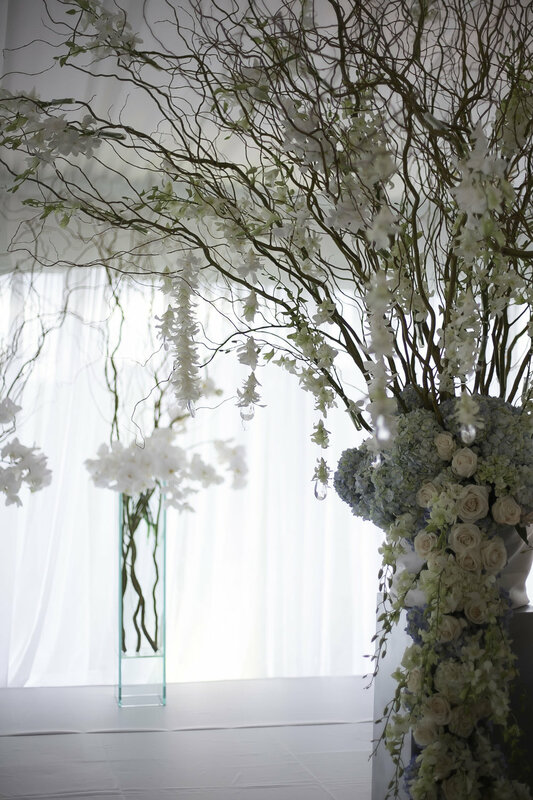 White phalaenopsis orchids and curly willow branches were placed behind the altar area, perfectly framing the stage and adding a modern touch with the angular vases. 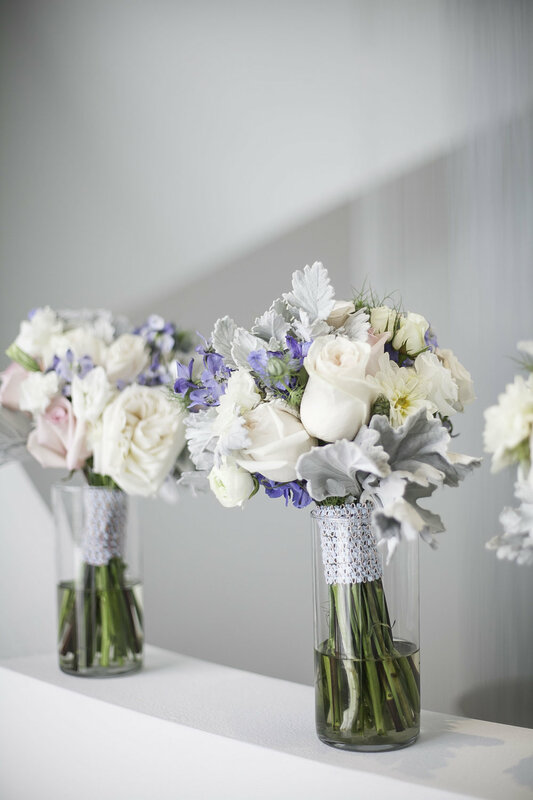 The reception had tall arrangements of white, blue, and green, with hints of blush pink. 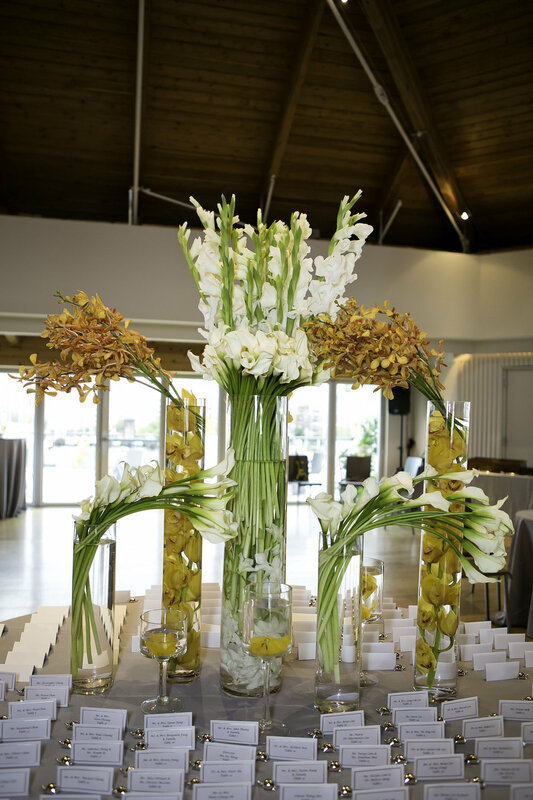 Cascading elements of hanging amaranthus, phalaenopsis orchids, and calla lilies hung elegantly down towards the table. 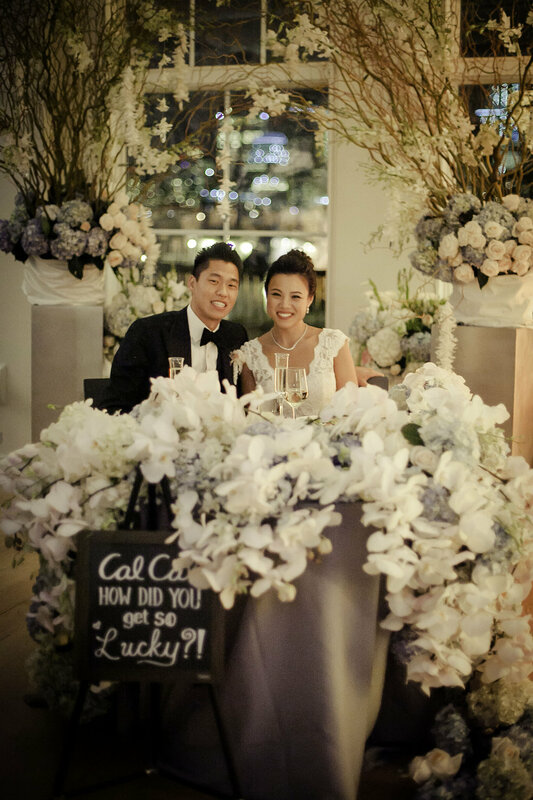 Courtney and Calvin's sweetheart table was decked out to the max with blooms and orchid stems. 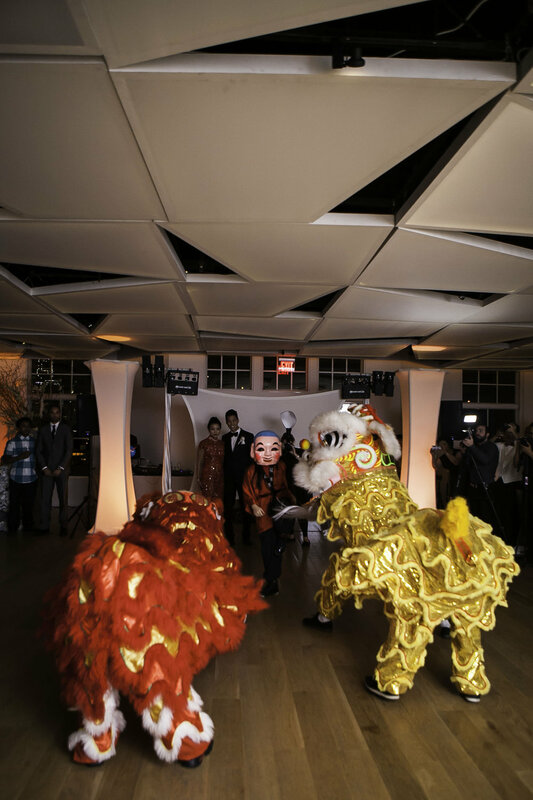 Stay tuned to see highlights from their Chinese banquet!